Hyderabad, Nov 16 (CRICKETNMORE): While the epic inning of 281 against Australia at Eden Gardens is what defines V.V.S. Laxman, but it is knock of 167 against the same team at Sydney which is close to the heart of the former Indian cricketer. The stylish batsman revealed this at the release of his autobiography '281 and Beyond' here on Thursday night. Laxman, who shot to the limelight with a knock of 167 in 2000, believes this was closer to his heart as it was first international hundred and it gave him confidence and belief that he was capable of playing at the highest level. "From 1996 to 2000, I never had a hundred. I never ever felt I was able to establish myself in the Indian team. If I had not got that 167, probably I would not have got another chance to play. The fashion in which I got these runs and against quality bowling on a challenging wicket and tough conditions gave me the confidence." "It removed doubts and apprehensions I had about my game. I started to feel that I belong to international cricket and that I can go out and perform against the best bowlers," added Laxman in a chat with popular cricket commentator Harsha Bhogle. Laxman, who retired from international cricket in 2012 after a career spanning 16 years, is known for his historic knock of 281 in 2001. His inning and record stand with Rahul Dravid, set up a stunning victory for India after following on. Laxman believes this was turning point for his career and also in the fortunes of the Indian team. He also revealed that this knock of 281 did not come as a surprise. 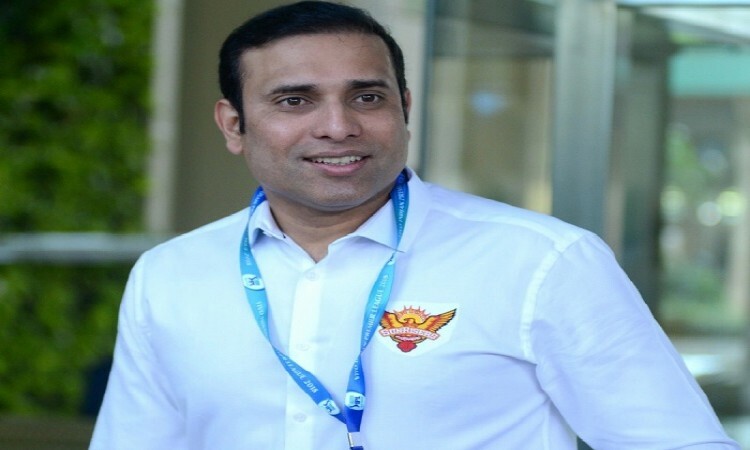 Known as 'Very Very Special' in cricketing circles, Laxman said with the extensive fitness training and hard work, he was physically and mentally ready to play that kind of inning. He did not agree with Harsha Bhogle that 281 trapped him as people started to have huge expectations from him. "I learnt after the first 4 years of struggle at highest level that especially in our country you can't afford to fall into a trap. Everyone will have expectations. I never played game to fulfill expectations of others." The event saw Harsha Bhogle in free and frank conversation with Laxman, his family members, former cricketers Arshad Ayub, Venkatapathi Raju and autobiography co-writer R. Kaushik. Telangana's Information Technology Minister K.T. Rama Rao and badminton coach P. Gopichand also shared their views at the event attended by former cricketers, coaches and friends of Laxman. Laxman, who preferred cricketing career over becoming a physician like his parents, said the toughest decision for him was giving up as an opening batsman. In 1996 when Laxman was included in the Indian team he was announced as an opener. "I took it up as a challenge. It was one of the tough decisions," he said. When he was dropped in 2000, he joined the Hyderabad team and started playing first class cricket. "I told myself that I am going to lead the life as a first class cricketer. I decided I will work hard but I will never ever open the batting. It was toughest decision because there was no guarantee of getting into playing XI of India," he said. He recalled that at that time the middle order was packed with experienced players like Rahul Dravid, Sachin Tendulkar, Mohammed Azharuddin and Sourav Ganguly. Laxman represented India in 134 Tests, scoring 8781 runs at 45.97. He scored 17 test centuries, six of which came against Australia.